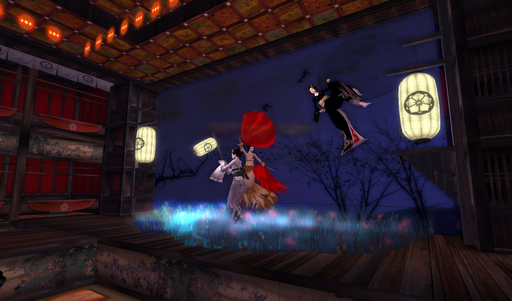 maiko’s Toshisono (jade sharkfin) and Toshiharu (akiko omizu) dance. It was the start of The Rising Sun Performance by the Yume No Ukihashi Okiya and directed by the exquisite Okaasan Mizuko 水子 (Kai Serapis). This was the first of the Japanese New Year’s Celebration, or shōgatsu, a time of renewal. The performance was being staged at the great Kabuki Theater on the Kansai region of Hosoi Ichiba. Each year I’ve attended the Hosoi Ichiba New Year celebrations, and each year it brought new delights. This year the program said, “Every year, the Japanese celebrate in many ways: by closing up shop, spending time with their loved ones and of course giving thanks to the special people who had guided them the year before. The image of the Rising sun represents the start of something new, something more spectacular then the day before. As we watched the sun rise on January 1st, we know this is yet another year for better beginnings.” So, I closed up shop, so to speak, and went in search of my own new beginning. Before the performance, my friend Jr. Maiko Akiko Omizu told me this was a very complicated performance, and I puzzled at her comment. But once the show began I saw what she meant. I hope my photos will convey some of the magic of this show. 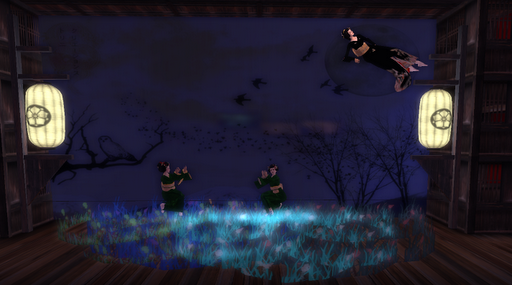 brought lamplight and more dance into the night. and continued the dance of renewal. 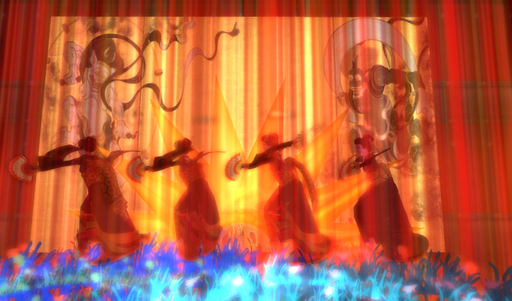 and the full troupe, joined by Toshimaru, danced in the new dawn. of a new year of better beginnings. I wish somehow I could have captured the amazing dance stylings which when coupled with a wonderful musical selection created this magical, immersive performance. Much congratulations to this outstanding okiya which includes: senior maiko Toshisono (jade sharkfin), junior maiko Toshiharu (akiko omizu), geiko Toshiki (josiane llewellyn) and junior maiko Toshimaru (casiopia marenwolf). 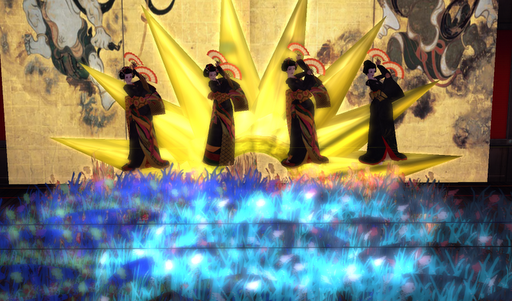 What a truly wonderful group of ladies and an amazing okaasan (mother), Mizuko (kai serapis)! 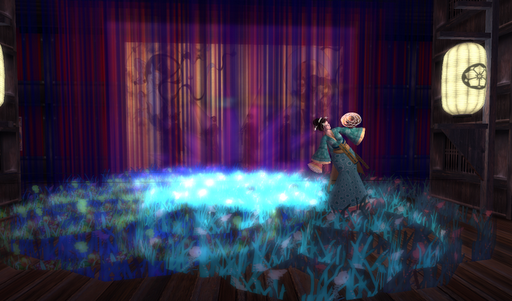 This entry was posted in Events and tagged Events, Geisha & Samurai, Photography, Role Play, Second Life. Bookmark the permalink. 4 Responses to Year of the Dragon! These photos are gorgeous, Yordie. I hope to be able to see one of these shows live someday!